A guide to understanding the terms residence and domicile as well as their legal and tax implications. A large part of a person’s legal identity is based upon where they live at any one time and how long they will be staying there. If you stay in the UK for a prolonged period of time, you are going to be liable for tax at some point. The exact point and how much tax you will have to pay will depend in large part on whether residence or domicile applies to you. Residence is principally concerned with how much time an individual spends in the UK in a single tax year, or string of tax years. The longer you stay the more likely you will be taxed on any income and gains you make during that time period. if you spent 183 days in the UK during one tax year, you are considered a resident in the UK. There are a couple of caveats in the form of further tests to ascertain your residence status if you are not considered a UK resident by the rule above. you work full time overseas (averaging at least 35 hours a week) and spend fewer than 91 days in the UK, of which no more than 30 were spent working. you worked full time in the UK for 365 days with no significant break and you work 3 hours a day or more. If you do not meet any of the automatic overseas or UK tests, you will use the sufficient ties test to work out your residence. a 90-day tie (spent more than 90 days in the UK in the last 2 previous tax years). We can help you understand tax residence. Domicile is the country a person officially sees as their permanent home. Most of the time this will be the country that you were born in, as an individual is automatically assigned the same domicile as their father. This is known as a person’s domicile of origin. Your domicile of origin will remain in place even if you move abroad, unless you take deliberate actions to change it. you were a resident of the UK for 17 of the last 20 tax years. providing convincing evidence that you are planning to live in your new location permanently. We can advise you on domicile. 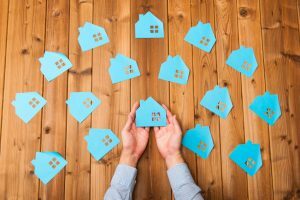 Although they relate to distinct parts of a person’s legal identity, residence and domicile are closely linked when it comes to tax. A general rule is that those who are not domiciled in the UK (sometimes referred to as ‘non-doms’) are not liable for tax on income or gains under £2,000 every tax year provided they do not bring them into the UK. There are 2 further rules of taxation that apply here. The ‘arising basis’ means that an individual will pay UK tax on all of their worldwide income and gains in the tax year they arise, whether or not they originated in the UK. The ‘remittance basis’ involves paying UK tax on your UK income and gains in the tax year they occur in, but you only pay UK tax on income and gains from overseas if they are brought to the UK. Bringing gains or income back to the UK is usually equated with transferring them to a UK bank account. There is an annual charge for long-term UK resident non-doms who want to use the remittance basis. This charge depends on how long they have been resident in the UK and is in addition to any tax due. The date of the tax years being considered is also a factor. if you were not a UK resident, an ordinary resident or domiciled in the UK, the arising basis applies to UK income and gains and the individual can choose to pay UK tax on foreign income and gains on either the arising or remittance basis. for UK residents who are not UK domiciled, the arising basis applies to UK income and gains and an individual can choose to pay UK tax on foreign income and gains using either the arising or remittance basis. ‘Ordinary’ residency as a legal tax term was abolished as of April 2013. There are 2 planned changes to domicile taking place from April 2017. People who have been resident in the UK for more than 15 of the last 20 tax years will be treated as deemed UK domiciled for all tax purposes and won’t be able to use the remittance basis. Secondly, people who are UK domiciled at birth will revert to UK domicile for tax purposes whenever they are resident in the UK. This applies even if they have acquired a domicile in another country. The rules surrounding residency and domicile can get a little complex, but making sure you get your status right is important as it will have a big effect on whether you need to pay tax. We can help you get to the bottom of this area of tax and ensure you remain compliant with the current system and any future changes. Our team can help you with tax management.